Tyres are one of the most important safety accessories on a car, but they are only as safe as their condition allows. The digital SnapSkan service, developed by tyre manufacturer Nokian Tyres in cooperation with the tyre retail and car service chain Vianor, makes tyre condition checking and monitoring simple and quick without any extra cost. The service is now launching five new checking points in the Nordic countries. SnapSkan makes measuring tyre tread depth quick and easy by utilising the latest 3D scanning technology. SnapSkan scanners can be found at parking garages’ exits or entries. 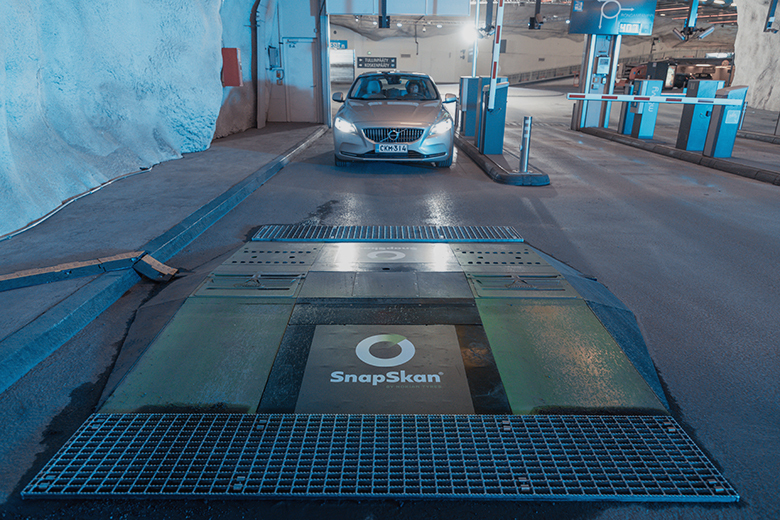 Driver drives over the scanner ramp when they enter or exit the parking garage and SnapSkan automatically scans the tyres. Driver can opt-in by sms or online either before or after the scanning to get the digital report of their tyres’ condition. If they choose not to opt-in, all the information SnapSkan has gathered of the vehicle will be permanently deleted within a week. If they opt-in for the report, it is sent to the driver’s mobile device totally free of charge. The report includes the measurements of tyre treads and a code that offers a discount on new tyres in selected stores. Nokian Tyres developed the SnapSkan service because it cares about its customers. SnapSkan is the world’s first tyre scanning service that is fully automatic and available at a public location to everyone. 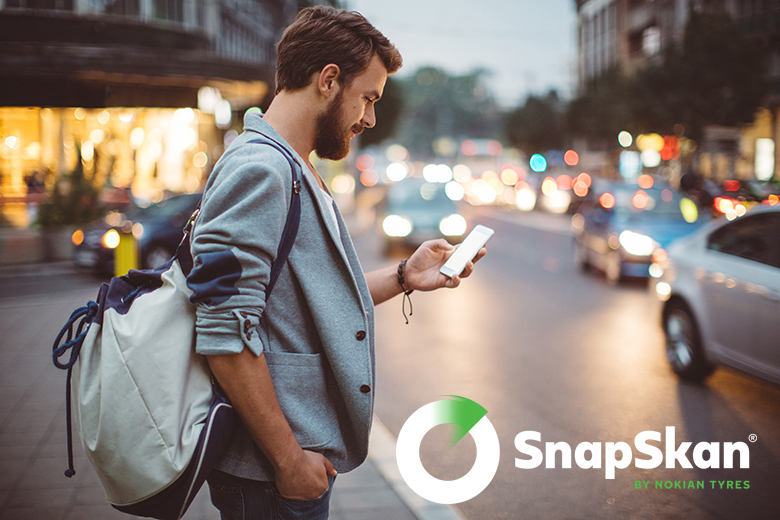 The goal for SnapSkan is to improve road safety for millions of people in the future. - Caring and safety are at the core of everything we do. SnapSkan is a unique consumer service and it sets us apart from other tyre manufacturers. SnapSkan allows us to communicate to the drivers not only the condition of their tyres, but also what effects their condition has on road safety in general, says Hille Korhonen, President & CEO for Nokian Tyres. The free-of-charge SnapSkan service makes tyre condition monitoring easy and quick for the driver. SnapSkan measures the tread depth of the car’s tyres using a drive-over scanner and sends the information directly to the driver’s smart device. The service is located in places that drivers usually visit, eliminating the need for a separate stop or a drive to a checking station. SnapSkan can measure the tyres on any passenger car and it works with all tyre brands. - We have received a massive amount of positive customer feedback regarding SnapSkan. 80% of the people we interviewed said the service was effortless to use and would recommend it to others. An even more important figure is that 70% felt that the service improves road safety, says Ville Nikkola, the Program Manager responsible for the SnapSkan service at Nokian Tyres. SnapSkan was first introduced in 2016 at the technology and startup event Slush. A prototype of the service was in use at a multi-storey parking garage in Helsinki and the first customer service point was opened in June 2017 in a parking garage in Turku, Finland. The customer feedback from these first two service points was used to develop the entire SnapSkan consumer service even further. -We have developed the service to be even more user-friendly from scanning to reporting. We feel that the service is now ready to be introduced to an even larger number of drivers, says Nikkola. This week, a total of four new SnapSkan service points will be opened in parking garages in various locations across Finland. SnapSkan is also going international with the opening of a new service point in Oslo, Norway. This is the first SnapSkan service point outside of Finland.